I undertake my NHS work at Frimley Park Hospital. Frimley is an "outstanding" hospital, as assessed by our recent CQC inspection; indeed we are the first hospital in the country to receive such a rating, and the surgical directorate was also graded as outstanding. Dr Foster has also rated Frimley very highly, being hospital of the year for the south in 2013. 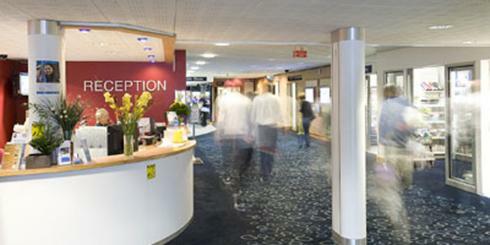 Frimley is a very caring, safe and friendly DGH, with motivated and experienced clinicians. I also do "outlying"clinics at the Aldershot Centre for Health and in Bracknell. This is the private wing within Frimley. I would perform all major surgery (such as bowel resections), and emergency surgery at Frimley, where the all-round back-up, from the ICU and anaesthetic team, to radiology and other specialty support, is second to none. I do regular clinics here on a Friday morning, and a Monday evening. For appointments outside of these times please contact my secretary. 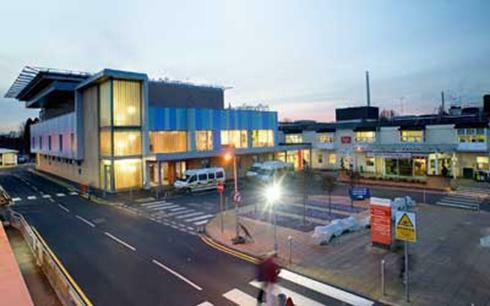 Clare Park is a well-run and friendly private hospital, which is part of the Spire Healthcare group. The majority of the consultants who work here also practice at Frimley, which means that the same ethos and standard of care which earned Frimley its excellent CQC and Dr Foster awards is evident at Clare Park. It is situated a couple of miles from Farnham, and set in beautiful countryside, which always lifts my spirits as I drive there. I undertake outpatient, endoscopic and mainly day-case operations here.